The majority of earth’s inhabitants believe in Angels. Yet so few of us can claim to have seen one. Why? Perhaps it’s because in order to encounter one, we first have to learn what to look for and how to look! We live in a world where the natural and supernatural overlap. Angels are constantly on mission from God and constantly at work in this world. From the Garden of Eden to the Book of Revelation, Scripture is filled with hundreds of references to these wondrous creatures. In this creative work, Scot McKnight explores what the Bible says – and doesn’t say – about these majestic beings. And that’s deeply important because angels are still on mission today. They express God’s love, confirm His presence, and even lead humans in redemptive worship. Don’t just believe in angels. Learn how to recognize these messengers of God that are all around us and know how God might be using them to affect our lives. 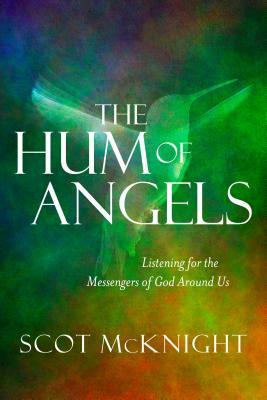 Now available in a convenient paperback edition, The Hum of Angels illuminates what the Bible says about these heavenly beings; and it helps you to understand the deepest truths about one of God’s most magnificent and yet misunderstood creations. 3. God’s loving advocacy from angels. 4. God’s loving transformation through angels. Scot maintains that 'If you believe in God, you also believe in angels.' Angels are not to be considered supernatural beings but rather an important moment that the person depicted it as an encounter with a messenger of God. Most of us believe in the angels that announced the birth of Christ, and made their appearance at His death, but this book illustrates time and time again the special moments throughout scripture. He does include some personal narratives of visitations with angels but by and large this is a detailed retelling of all the Bible accounts. I thoroughly enjoyed this book and the exploration of the history of angels. The various types of advocate, guidance, announcement, temptation, and warrior angels, to mention a few of the various types, was spiritually uplifting. The exploration of the Catholic and Episcopal Church histories was great."